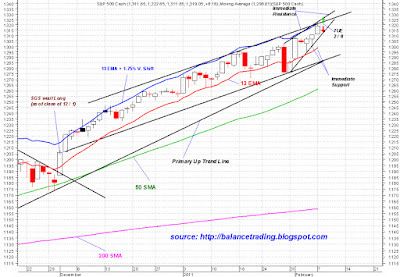 All major indices, expect for TRAN, set new closing 52 week highs today. That is very bullish and indicates that the bull run is intact and Market will continue climb higher. I, however, believe before Market goes much higher than current levels, it needs to do a "sanity check" by retreating to back test some key levels. 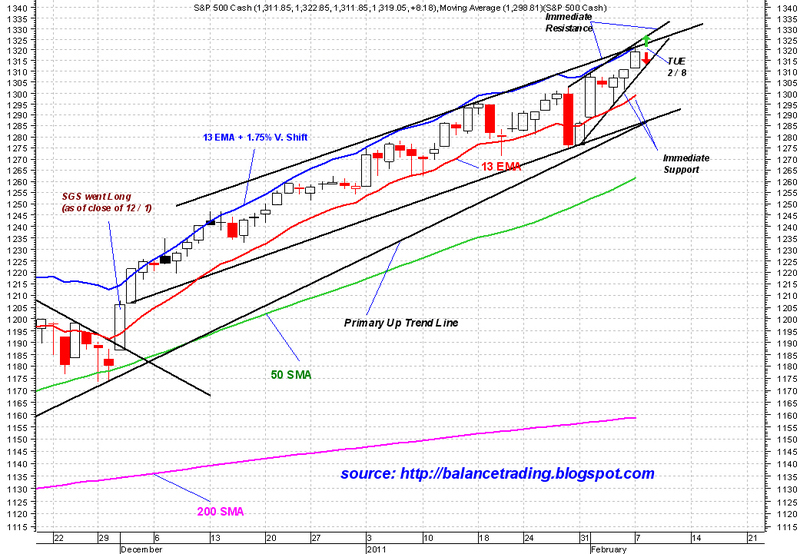 Those levels are SPX 1300, NAZ 2750, DOW 12000, RUT 800 and TRAN 5000. I think there is a very good chance we see some if not all of those numbers sometime this week.